First course of business is to provide the region. On the Thanksgiving trip to Vegas we spent the second day exploring Red Rock Canyon National Conservation Area. We prefer to stay out at the Red Rock Casino Resort whenever we wander out to Sin City – we’ve seen all the sites and can do without the congestion on the strip. Some friends of ours were arriving a couple of days later so we did switch hotels to help show them around for their first time in the area. One of the advantages of staying at the Red Rock location is the 5 minute drive to the conservation area which we made on our second day. Last time I stuffed a Wren in the tin from this area it was of the Bewick variety (Ron just informed me that the proper pronunciation is more in tune with Buick than my original guess of Baywick). Pronounced white eyebrow, brown palette, somewhat buffy breast led me to incorrectly assume this was another Bewick. While working up the images for the blog, noticed the strong speckled pattern on the back. Did not think that was a feature sported by the Buick.. I mean Bewick’s. To the reference books. Nope, the Bewick’s has a fairly plain back. 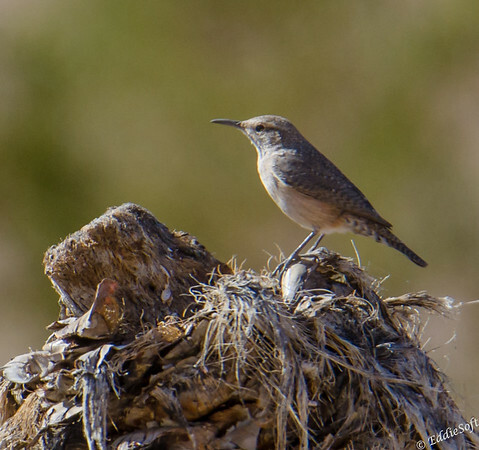 Did some digging and located another Wren with very similar traits. It also has the eyebrow, but not as pronounced as the Bewick’s and sure enough, had the more speckled back. This was a much better match to my images. 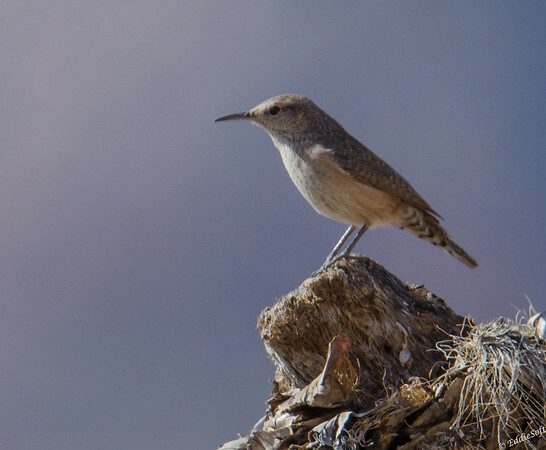 Closer inspection on the new match confirmed this was a Rock Wren. A final check of the region put the bow on the ID… well, after a final validation from Ron confirming the +1. Ended up having two encounters with this new bird. The first was at a pull-off just past their visitor center. Being the holiday, the conservation area was pretty full of people – not good conditions when you are there to take photographs of birds. Having been here several times before, we were able to forego the standard landscape sightseeing and keep our focus on feathers. This led us to the other side of the street, the opposite of the red rock cliffs that everyone was busy taking pictures of. 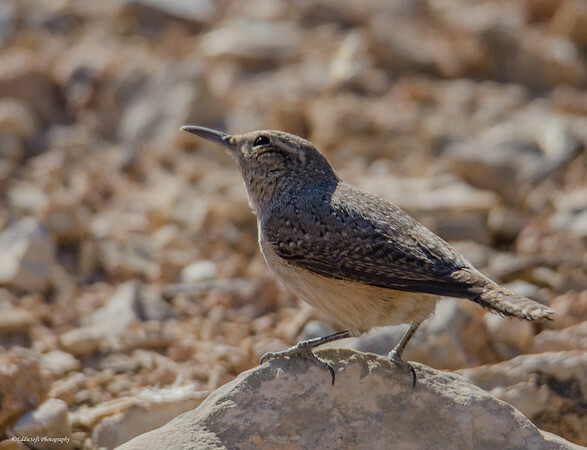 A quick scan of the desert ground didn’t reveal any Burrowing Owls – drats (top 5 on my current to-get list). Next up, look for anything that moves. About a dozen House Finches were busy playing in the sun. I can get those at home, no need to waste a lot of memory on those – get a few shots just in case there is a regional characteristic and then start scanning for additional targets. 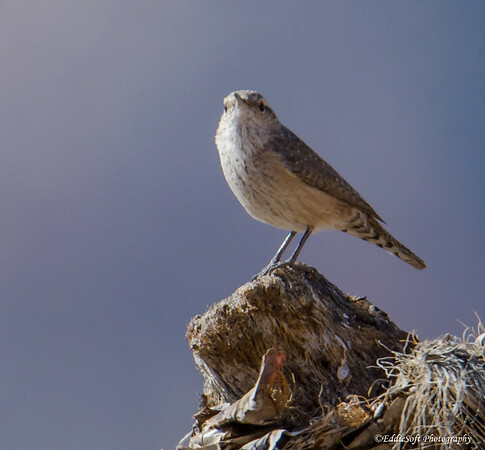 That’s when this Rock Wren popped up. Now that is definitely more exciting (even if I thought it was the Bewick’s which I already had (link here). You can definitely see the more distinctive eyebrow line and the cleaner breast from that previous post. A couple hundred snaps and we headed back to the crowded parking lot and then out to explore more of the park. Our other encounter was on the way out of the park. We had traversed the main loop of the park and was heading back to the casino when we saw the Red Rock Canyon Overlook pull off. This looked like it had a good view of the flats to give one final check for any Burrowing Owls (never pass up an opportunity to get a top five in the tin). Struck out – no Burrowing Owls, but did park next to a sweet looking yellow Lamborghini – best part is you do not have to worry about them dinging your doors. 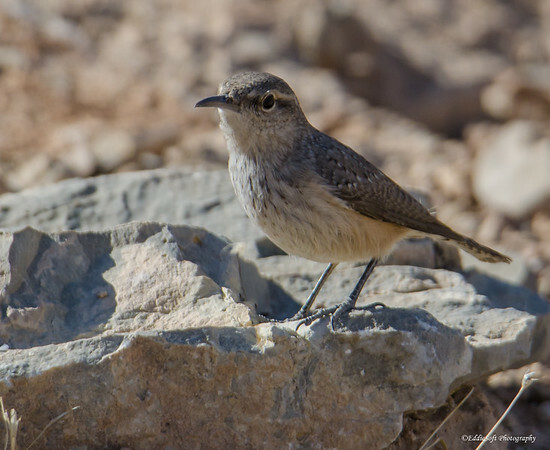 While leaning against the wall waiting for Linda to come back, noticed another Rock Wren scurrying about the underbrush. Found a path out into the flats and used up some more memory. I was able to get much closer than the previous setting – and not worry about getting ran over. 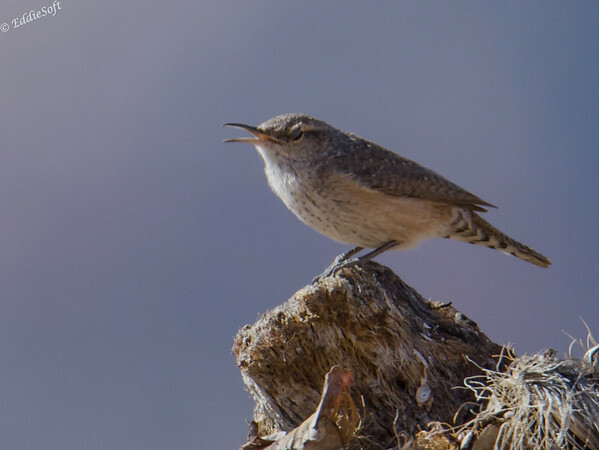 This is the point where misidentifying this Wren probably cost me … and therefore you, the chance to see why these Wrens were given the Rock name. 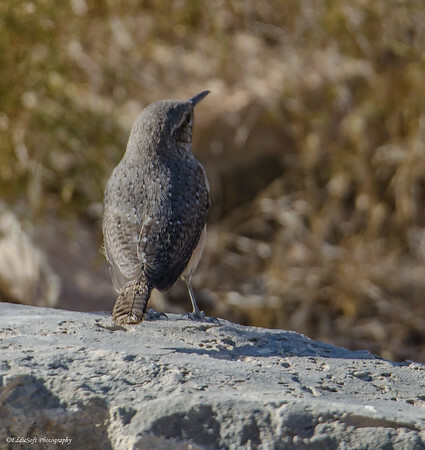 Although it obviously likes to “stand” on rocks per the numerous poses here, but this is not likely the origin of the name. 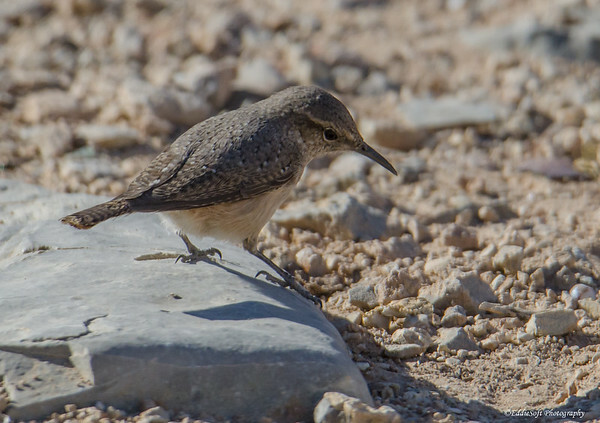 According to Cornell’s site, the Rock Wren places small rocks in a pathway leading to their nests. Had I known about that, I would have hunted around or followed the specimen in hopes of spotting this walkway to their rock crevice nests. 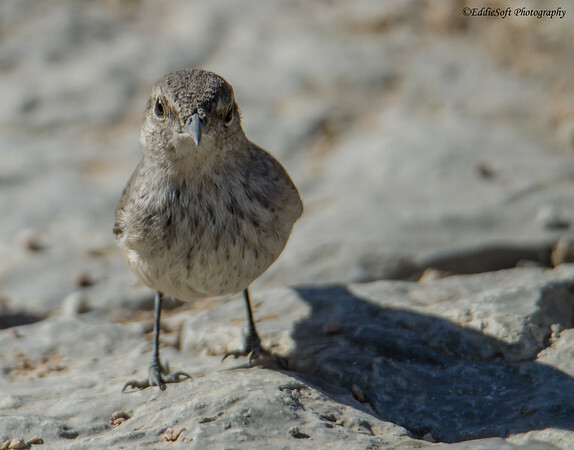 Will get that behavioral element the next time we head out there – promise! Linda has just informed me the dogs are refusing to go out until I shovel them their own pathway. Apparently they haven’t heard of Snow Angels. I just check outside – holy crap, it’s time to book a flight to Vegas.